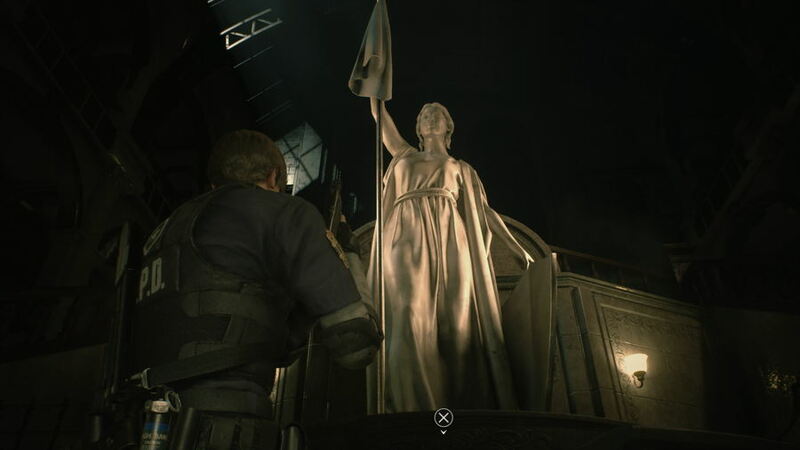 The first puzzle you have to solve in Resident Evil 2 is The Goddess Statue Puzzle. Here, you will need to search for three medallions with each are hidden in the different statues. Once you’ve found one of the statues you need, you have to enter the puzzle codes to release a medallion. That easy? Well, speaking of Resident Evil 2, then you must have known that you also have to get ready for the attacks of zombies along your way to complete this puzzle. If you made it to solve The Goddess Statue Three Medallion Puzzle, you will be able to escape to the underground area and get to the next stage with open up a brand new area. 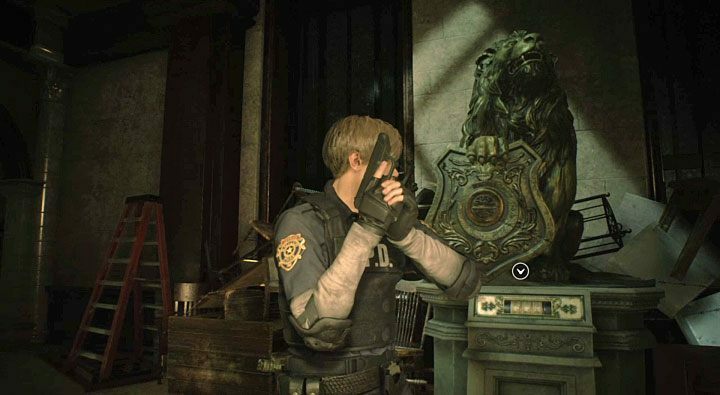 Resident Evil 2 mainly takes place in the Raccoon City Police Station, so when you enter the Police Station, from the Main Hall, head under the shutter into the eastern wing of the station and work your way around until you reach the Watchman’s Room. There you will be asked to go to the East Hallway and clear that section to get the Officer’s Notebook which will give you detail on how to solve the puzzle. The first medallion you need to find is the Lion Medallion and it will be quite easy for you to find the Lion Statue which located on the second floor of the Main Hall. And for the code of Lion Statue Puzzle: enter Lion Head, Leave, and then Eagle. 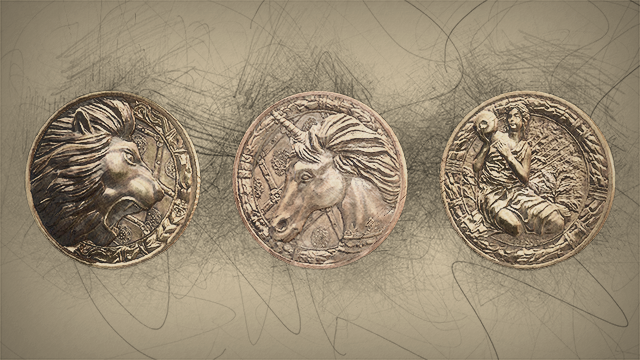 The second medallion is the Unicorn Medallion and it would be more difficult to get it. You will find it in the Lounge on the second floor, but to get there you will have to go up to the third floor and get back down. Use the staircase on level 1F and take it all the way to the top, then pass through linear rooms until you reach the Library. From there, take left and head down the staircase, you will see a door at the bottom, head inside and you will find the puzzle containing the Unicorn Medallion. 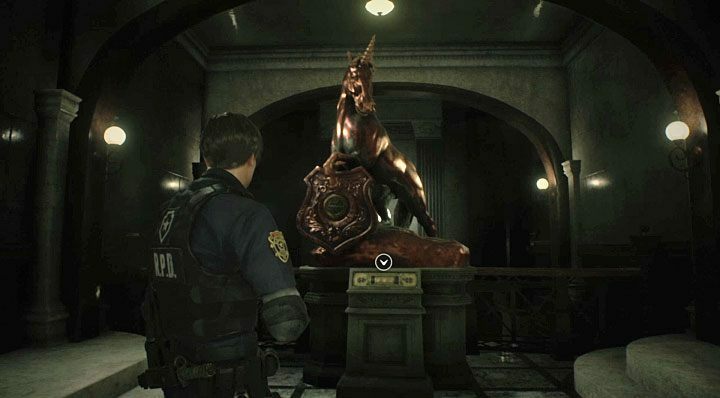 To solve the Unicorn Statue Puzzle, you have to enter the code: Fish, Scorpion, then Jug. The next one you need to find is the Maiden Medallion and as the final medallion, it will be more complicated to find. Firts, head to the Fire Escape to get the Cutting Tool at the top of a barrel, use it to cut the chain locking off the East Office and pick up the Round Handle from there. Next, go to to the Operations Room on the western side of level 1F, use the Cutting Tool to unlock the chain, pick up the Electronic Gadget from there. Then straight away go to the Shower Room on level 2F, use the Round Handle on the pipe to turn off the steam which flowing into the room. Follow the hallway around until you reach the S.T.A.R.S Office, watch out for the Licker situated on the ceiling. Head inside, turn left, and pick up the battery on the desk, combine it with the Electronic Gadget to make a Detonator. Now go back to the West Storage Room on level 3F and place the Detonator on the wooden barricade with a 10-second countdown. Once it blows, then you will finally have access to the Maiden Medallion. The next thing you have to do now is enter all three Medallions into the Goddess Statue to gain access through to the Underground Facility. 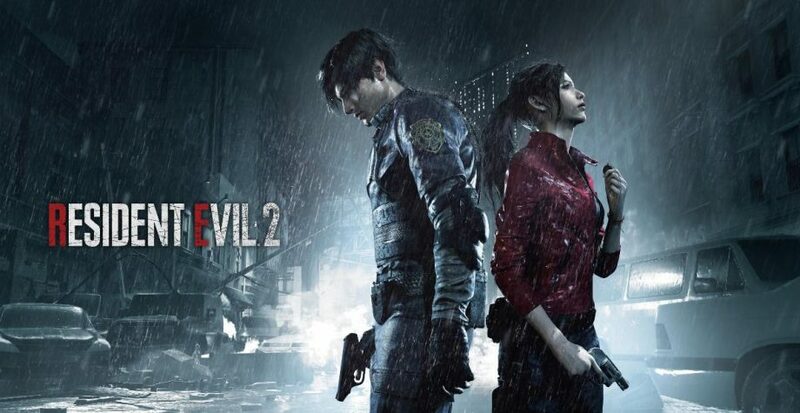 Resident Evil 2 Brilliant Live-Action Trailer: It’s Amazing!